No matter how great your mattress is, it always has room to get more comfortable. Getting a mattress topper is an easy way to cushion a low-quality mattress or make a high-quality mattress slightly more plush. Mattress toppers also give you the opportunity to adjust the firmness level of your bed without having to buy an entire new mattress. The right mattress topper can transform any mattress–even a cheap, not-so-great one–into a luxury, ultra-comfortable sleeping surface. Of course, not all mattress toppers are created equal. Some unfortunate low-quality toppers make your bed even less comfortable, creating a surface that feels hard or crunchy like styrofoam. Memory foam mattress toppers are renowned as some of the highest-quality mattress toppers on the market. They’re durable, soft but not too flexible, and great for sleeping posture and spinal support. 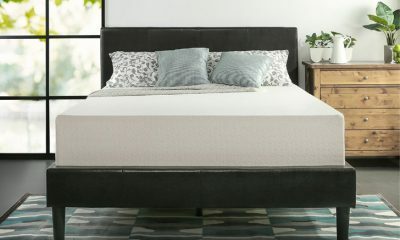 Get the best of the best in the world of memory foam mattress toppers with these six top-rated toppers that guarantee you a better night’s sleep. This 4-inch mattress topper’s unique two-layer design offers the best of both worlds, providing soft comfort as well as firm, pressure-relieving support. 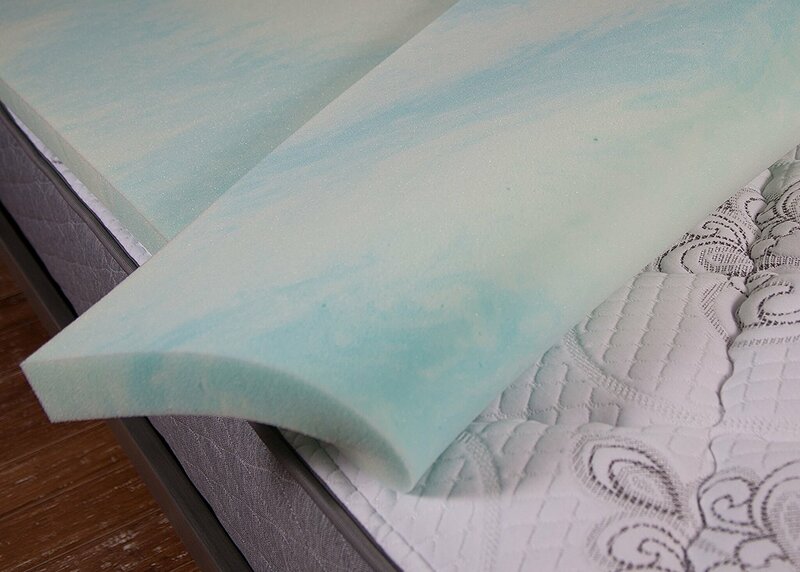 A 2-inch, fiber-filled quilted top layer provides a comfortably soft, plush sleeping surface. A 2-inch bottom layer of gel-infused memory foam acts as a firm, supportive base on top of your mattress. This two-unique layer surface makes sleeping comfortable and pain-free whether you sleep on your stomach, back, or side. The gel inside this topper’s memory foam layer has special cooling properties. It draws heat away from your body and prevents you from sweating and overheating during the night. The cover of the quilted top layer is easy to remove and is safe to wash and dry in standard laundry machines for quick and easy cleaning. Sleep soundly atop three inches of pure, premium gel-infused memory foam with this mattress topper. This premium foam is free of any toxicity to prevent you from breathing in any toxic chemicals during the night. 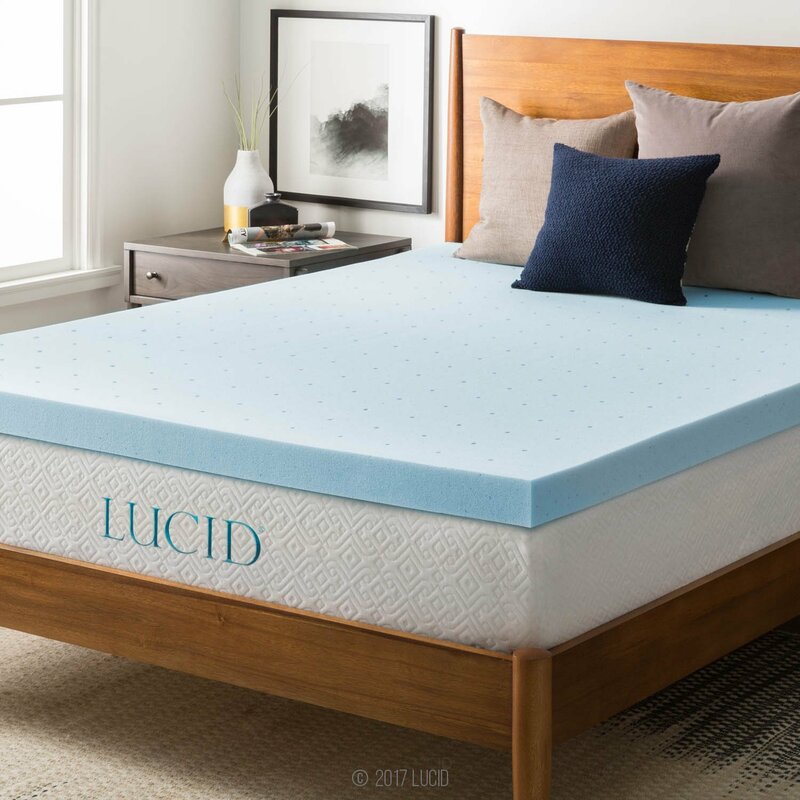 The foam is soft enough to conform to your body and comfortably cradle your frame while you sleep, but is firm enough to offer pressure-relieving support. Its firm, comfortable material gently aligns your spine, encourages healthy sleeping posture, and relieves pressure in your body to help you sleep well and wake up pain-free. 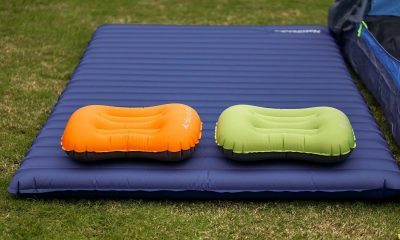 The cooling gel infusion inside the memory foam regulates temperature to keep you cool and comfortable while you sleep. This gel infusion also gives the mattress topper a calming, blue swirl design that helps you feel relaxed and ready for bed. The light, open cell construction of the foam is breathable to evenly distribute heat. All three inches of this premium memory foam are well-ventilated to prevent sweating and discomfort. This mattress topper features 3 inches of premium contouring, therapeutic memory foam. The foam naturally helps realign your spine and relieve excess pressure from your body to eliminate morning soreness and discomfort. It feels soft and conforms to the shape of your body to prevent you from tossing and turning during the night. However, it is also firm enough to allow you to sleep comfortably in any position, including on your side. The memory foam is also infused with special cooling gel that regulates temperature to prevent overheating and keep you from sweating and getting too hot during the night. It is well-ventilated, lightweight, and breathable to improve the topper’s airflow and ensure a more comfortable sleeping experience that feels like sinking into a cool, airy cloud. Revive your old, tired mattress with this life-saving 2-inch memory foam mattress topper. 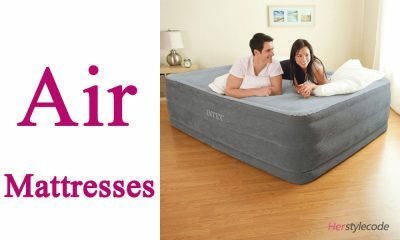 Its visco-elastic memory foam is durable and supportive, allowing you to sleep comfortably in any position. It also includes infusions of cooling gel that regulate the temperature of your mattress and prevent you from overheating while you sleep. This mattress topper is the perfect choice for people who don’t like the feeling of being sucked into thicker contouring toppers. It cradles your body while you sleep without completely enveloping you, so you don’t wake up feeling like you’ve been buried during the night. 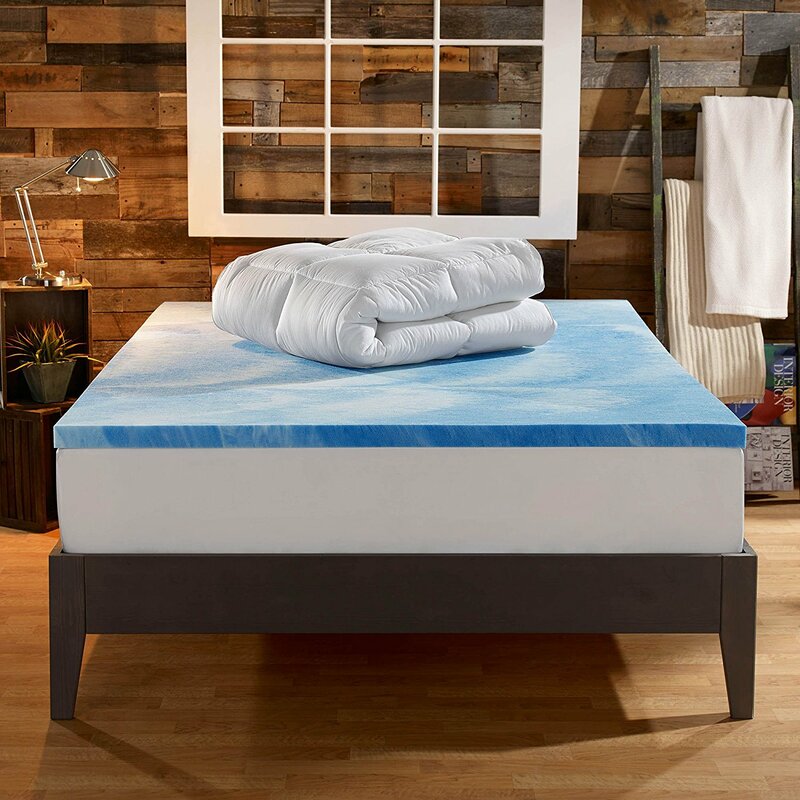 This 2-inch mattress topper is made from a comfortable, supportive memory foam gel blend. Its anti-sinking design is soft but firm. It cradles your body to relieve pressure, stress, strain, and muscle pain, but keeps you from sinking in too far during the night. 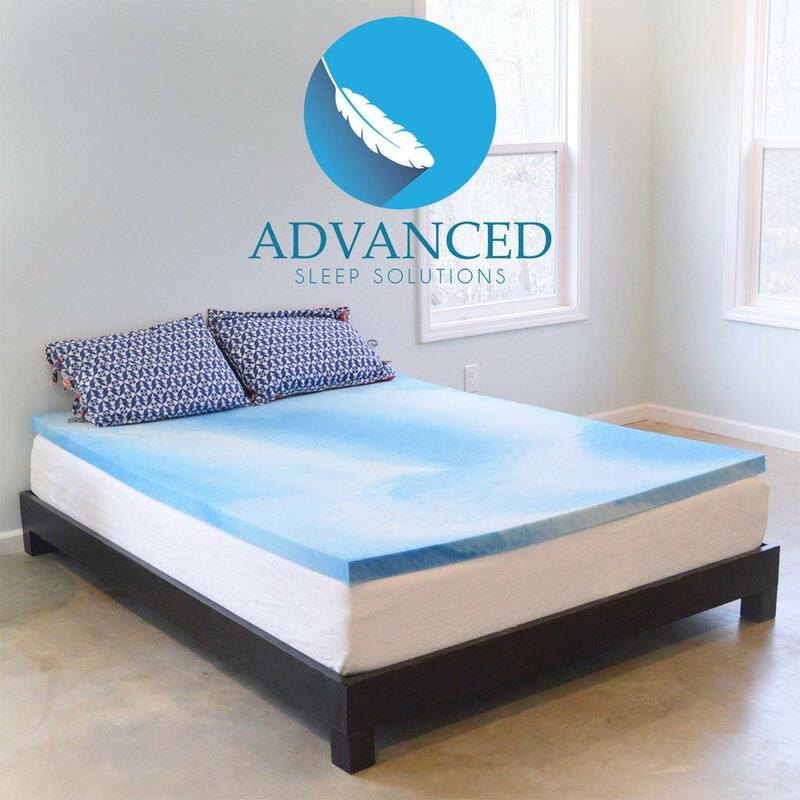 The mattress topper’s blended foam and gel construction allows you to sleep comfortably in any position and is compatible with sleepers who prefer soft mattresses and those who prefer a firmer feel. The memory foam’s ultra-cool gel infusions regulate temperature to fight against overheating, hot flashes, and night sweats. Its lightweight open cell foam structure is breathable and features excellent ventilation to improve air flow and keep you cool. The foam and gel work together to dissipate heat and maintain a comfortable temperature for you while you sleep. 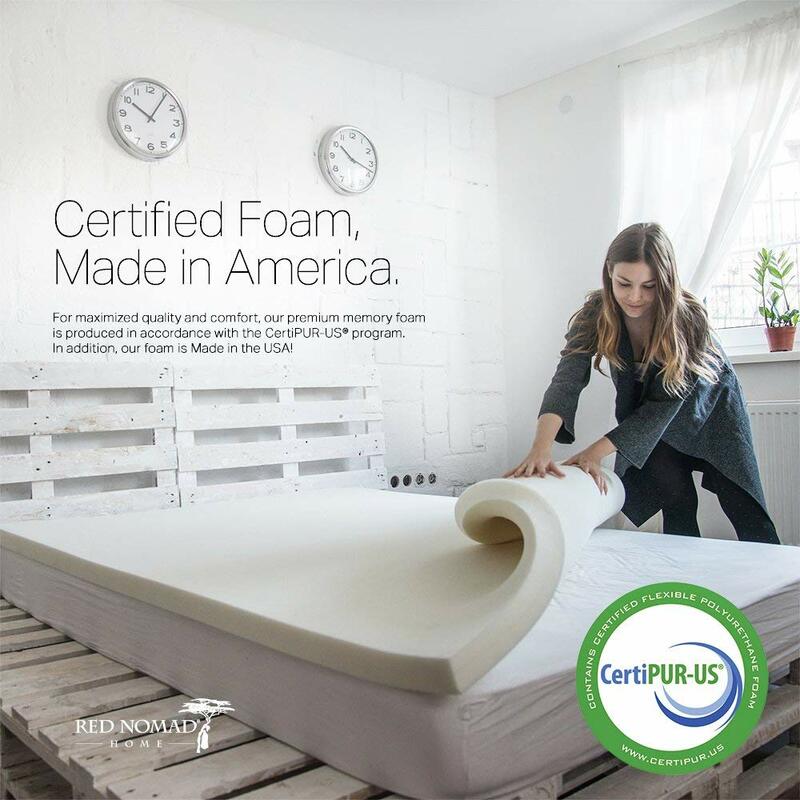 Get better, more comfortable sleep every night with this CertiPUR-US top-quality memory foam mattress topper. Its special cool cycle polymer design and CoolFlow technology evenly distributes heat and regulates temperature to keep you cool and dry all night long. Its two inches of premium contouring memory foam conform to the shape of your body to relieve pressure along with muscle and joint pain. The foam springs back up every morning and does not develop uncomfortable valleys from your body weight over time. This mattress topper does not include any heavy metals, phthalates, formaldehyde, flame retardants, or ozone depleters. It is also free of any latex or natural rubber materials, so it is safe for use by those who have latex allergies or sensitivities to rubber. You can sleep peacefully on this topper knowing that you’re breathing in chemical-free air and helping to keep the environment safe and healthy. 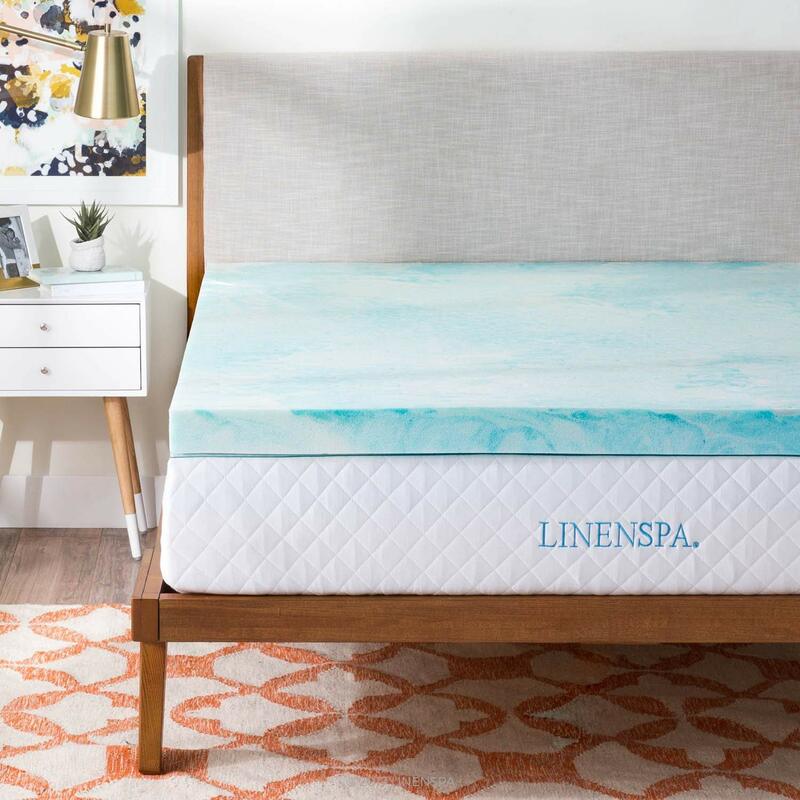 Stop denying yourself a better night’s sleep when higher-quality sleep is just one mattress topper out of reach. These comfortable, supportive memory foam mattress toppers have the power to heighten your quality of sleep and help you sleep deeper, longer, and more peacefully every night to wake up refreshed every morning. Are all of these Memory Foam Mattress Toppers available on amazon.com?